Microorganisms abound in homes. Whether those fungi and bacteria in the dust and on different surfaces in typical houses are alive and active is not well known, however. That is where studying the chemicals that microorganisms emit when they grow can help. When they are growing, microorganisms are very creative chemists, creating a diverse array of emitted chemicals from the smorgasbord of products they encounter indoors. 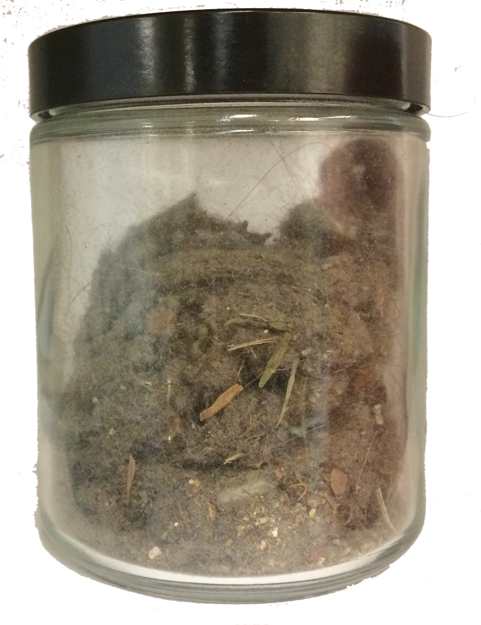 Household dust contains a variety of fungal species that can grow under favorable conditions. Sloan’s Chemistry of the Indoor Environment (CIE) program aims to develop a research field that explores the chemistry of indoor spaces, and the CHEMM project seeks to explicitly consider the role of microorganisms in this developing framework. The experiments will help develop understanding on when chemical emissions from indoor surfaces are from “living” or “dead” processes; that is, whether chemical emissions are mediated by biologically active microorganisms in the indoor environment or whether the emissions result from physical and chemical transformations. Applying new technologies in characterizing chemical emissions and combining that information with advanced approaches to study microorganisms has the potential to transform our understanding of the microbial contribution to indoor chemistry. Under what temperature and relative humidity in homes are the microorganisms on household surfaces active and contributing to chemicals that are found in the air (i.e. volatile compounds)? How does the identity of microbial species and the kind of building material interact to determine the kind of volatile compounds? What are the chemical by-products when household microbes eat common products that end up in house dust, like plasticizers and human skin oils? 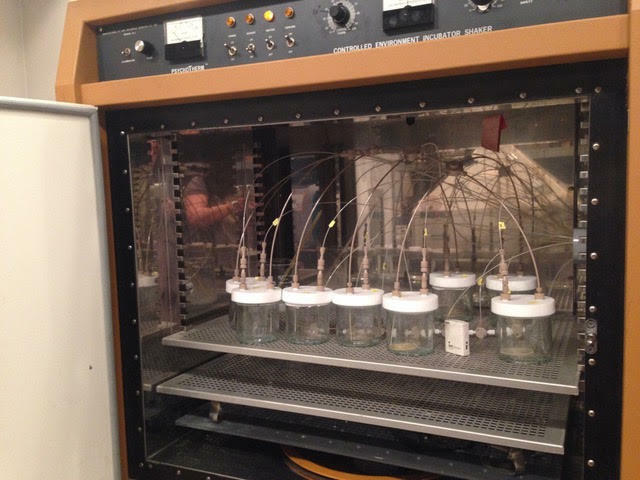 Growth incubator where experimental samples are placed in glass jars and the volatilized chemicals studies using state-of-the-art technology. Our approach is to offer different microbes several different types of growth substrates available in homes, including wood, carpet, and drywall – common materials we use in our homes – when different amounts of moisture is available. 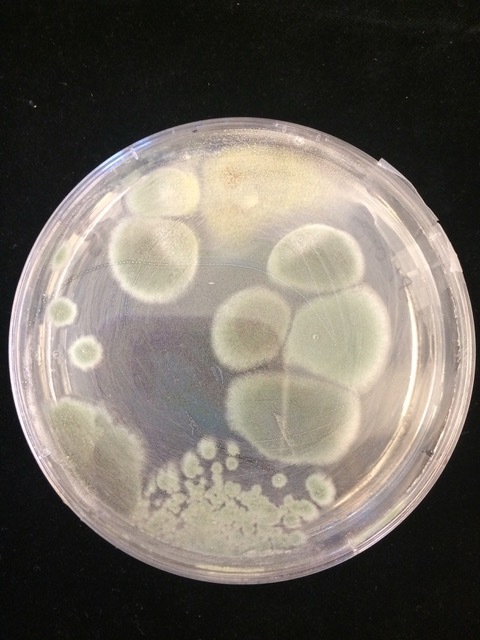 We will compare the chemicals that are emitted from these same substrates when the potential for microbial growth has been eliminated in order to identify how microbes can contribute to the amount and kinds of volatile chemicals in homes.